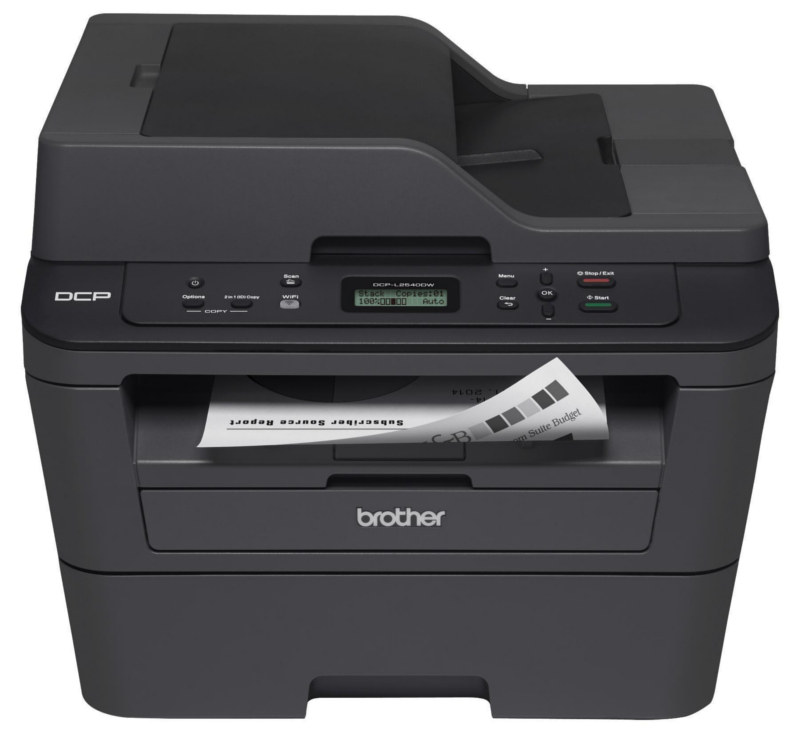 Brother DCP-L2540DW is a monochrome all-in-one laser printer. It is on sale in many online shops, including Office Depot, Target, Bestbuy, and Walmart. Its price ranges from $117.99 to $217.13. If you buy it at Target, you would get a big discount if you bought it for $117.99 and save 64%. That’s a great deal for you. The DCP-L2540DW is an affordable monochrome laser multi-function copier with up to 35-page automatic document feeder for home or small office use. Automatic duplex printing helps save paper. This desk-friendly and compact copier has an up to the 250-sheet capacity tray, connects with ease via wireless networking or Ethernet and prints and copies at up to 30ppm. Print from compatible mobile devices over your wireless network. Scan documents to a variety of destinations. Well, as we all know, every laser printer needs a toner cartridge. Brother DCP-L2540DW is no exception. 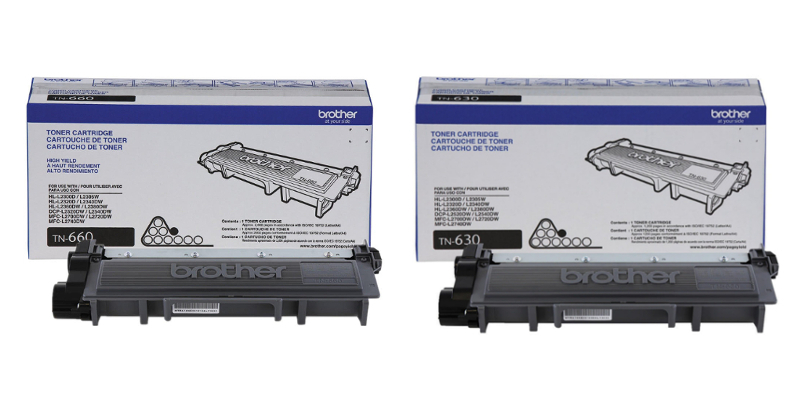 Brother TN-630 Original Black Toner Cartridge is a fine choice. It is the genuine product from Brother and it has the standard yield of 1200 pages with a two years shelf life. If you prefer a higher yield toner, our website also offers it to you. Brother TN-660 is the high yield version of Brother TN-630. For the page yield, TN-660, which can print approximately 2,600 pages, aims to offer the ultimate printing experience and prints more than twice of the standard TN-630. The standard TN-630 is sold for $44.99 while the high yield TN-660 is sold for $69.99. The price on our website is absolutely cost-efficient. Compared with the market prices, you can save almost $11.00 and $19.00 if you buy on our website. That’s a great deal for you. If you think that the OEM toner cartridge is not cost effective for you, then the new compatible toner cartridge is suitable for you. 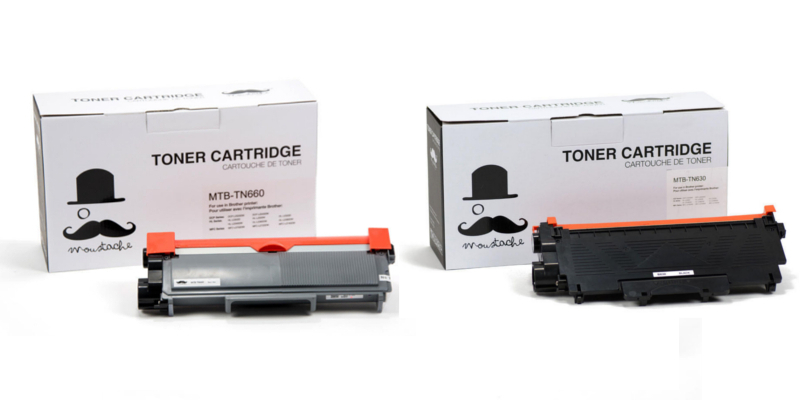 Brother TN-630 / TN-660 New Compatible Black Toner Cartridge – Moustache® is made from all new components, and it will be compatible with your printer model without any problem when you are replacing your current TN-630 / TN660 Toners. Besides, it offers you the same good printing quality as the OEM Brother TN-630 or TN660 cartridges and will also print at least the same amount of pages as its OEM counterpart. Also, our website offers the New Compatible Toner Cartridge Combo. Moustache® is the brand from Canada and it has passed the ISO14001 certificate and ISO9001 for their quality. Choosing the new compatible toner cartridges will be the perfect solution to help you to save on printing cost. If you are interested in the products mentioned above, please click on our website 123ink.ca. We will offer you a high-quality online shopping service. Our website offers free shipping on all orders above $49. You will absolutely have a happy shopping experience on our website. Let’s click on 123ink.ca and enjoy the fun of shopping online!